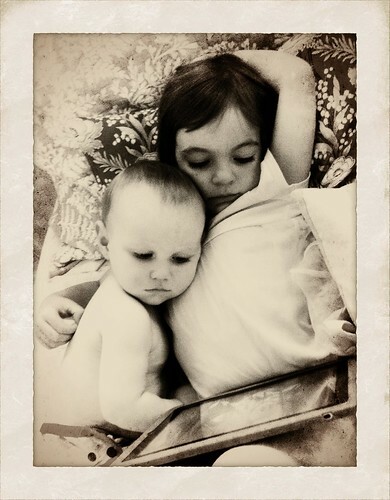 iPad Sharing – 365, 167, originally uploaded by Fluttering By. Molly was watching a movie on the iPad this morning. Marcus crawled up to her and and snuggled right in.